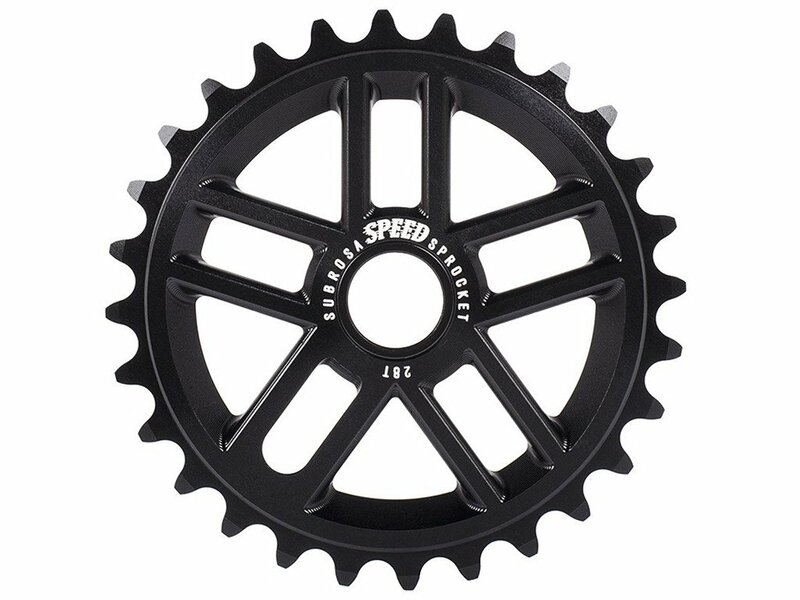 The Subrosa Bikes "Speed 25T" Sprocket is a 100% CNC machined, 7075-T6 sprocket that is designed to resemble a classic shape with the strength and weight that modern riders demand. 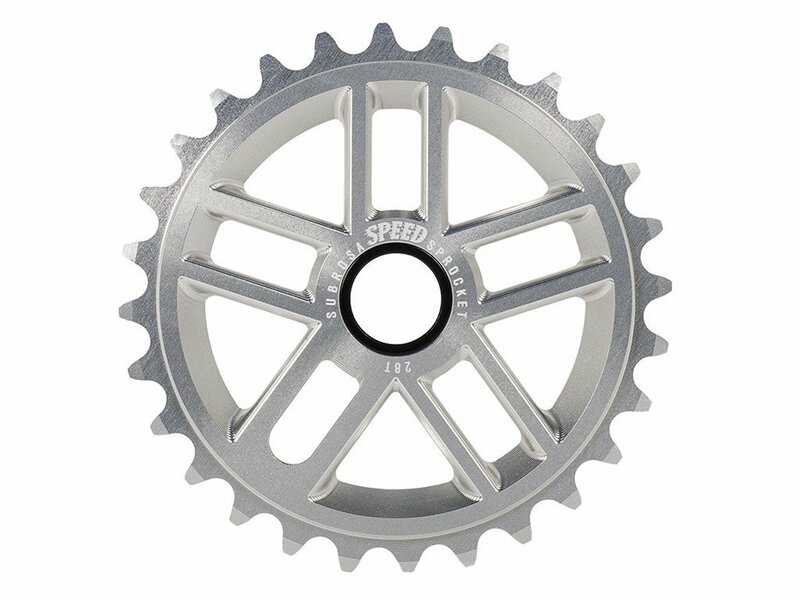 The unique 10 spoke design retains strength while also reducing weight. 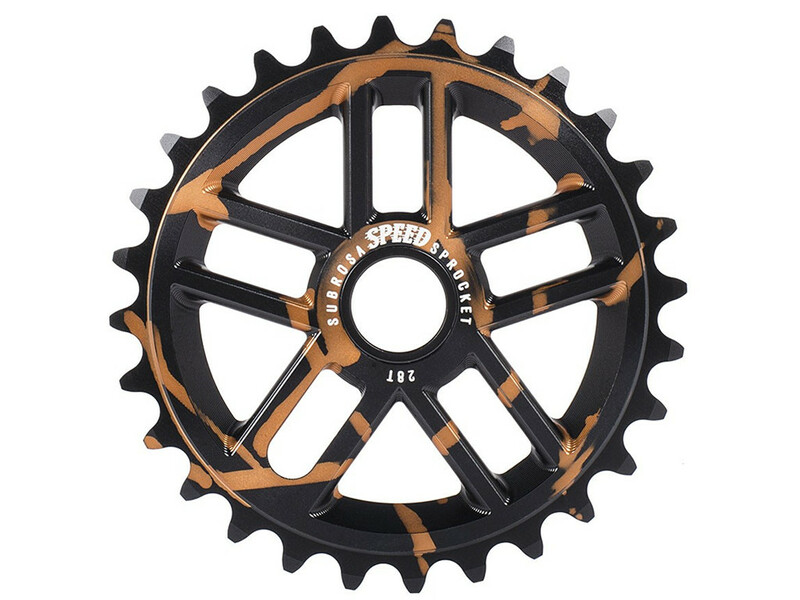 Subrosa left a large amount of material around the outer profile to help maintain the shape during impacts. 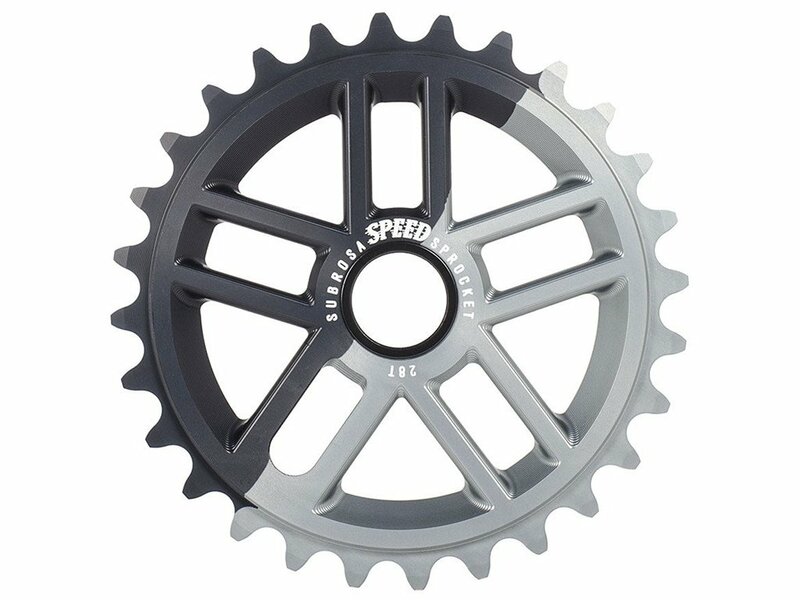 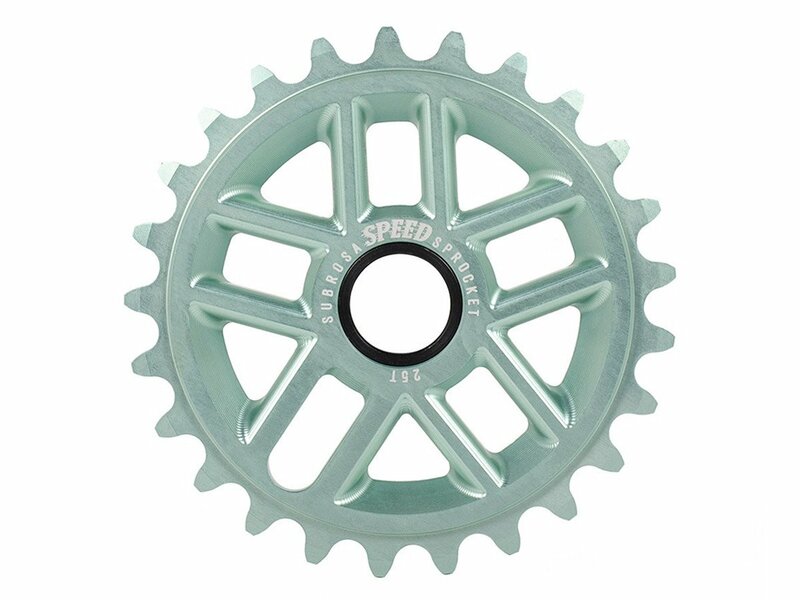 This Subrosa Bikes "Speed 25T" Sprocket is 6mm thick and is built to take it!